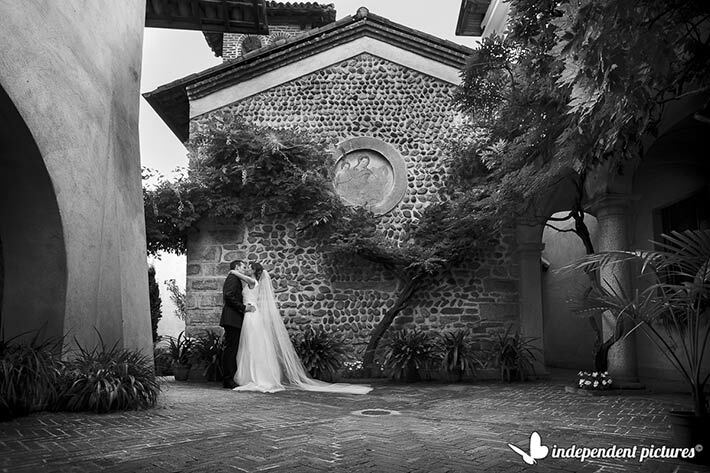 We are back this month to tell you about a lovely and romantic Italian wedding. Lara and Alberto got married in a warm day of July. A wonderful choice for a romantic summer wedding. July is one of the month we usually suggest: weather is pleasant and stable and nights are just amazing with clear sky and warm evenings. As per Italian tradition Alberto and Lara got ready a their homes and choose a wonderful church close to their home town for their catholic ceremony. 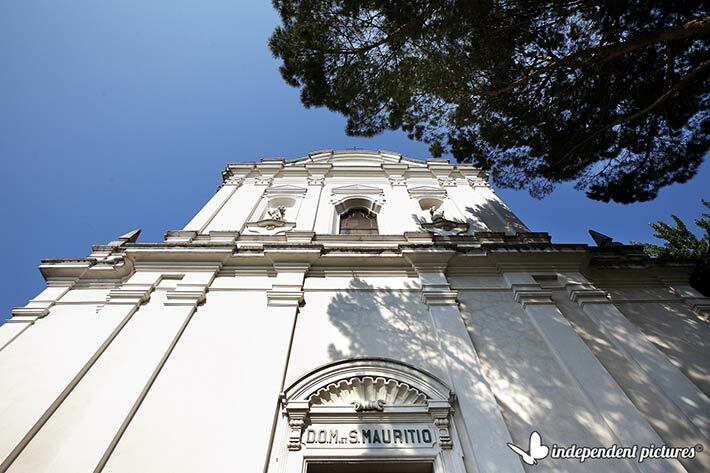 The amazing church you can see in these photos is the church of little village of Roasio San Maurizio. 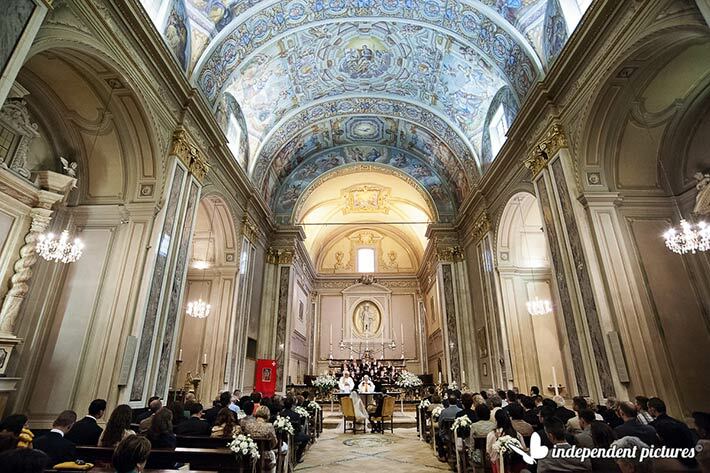 It is a Romanic Church and frescos inside are simply amazing! Have a look to the ones on main nave ceiling! 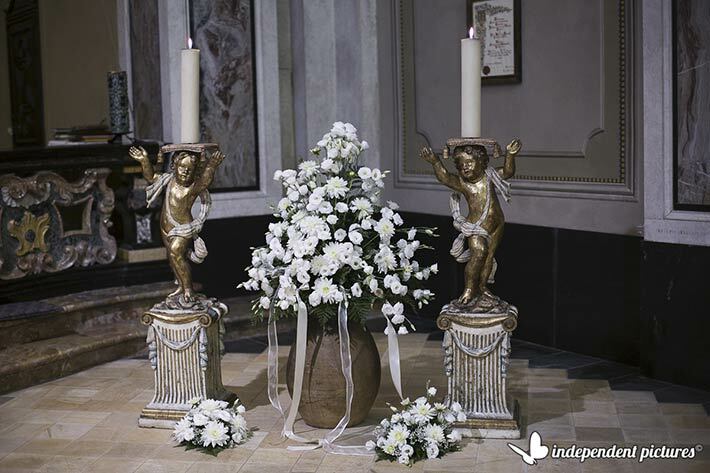 For her wedding floral decorations inside the church, Lara choose white: lysianthus, baby’s breath and dahlias. Lovely compositions on balusters and little bunches on the pews to embellish an already stunning venue. Theme matched Lara’s wedding dress style, simple but very elegant with a romantic long veil. 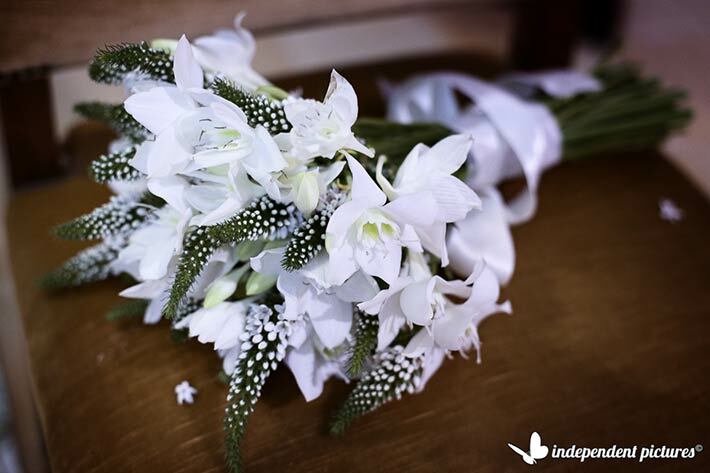 For her bridal bouquet she chose Eucharis and Veronica flowers. An original country chic choice. Wonderful voices of a choir accompanied the ceremony. Everybody loves it! 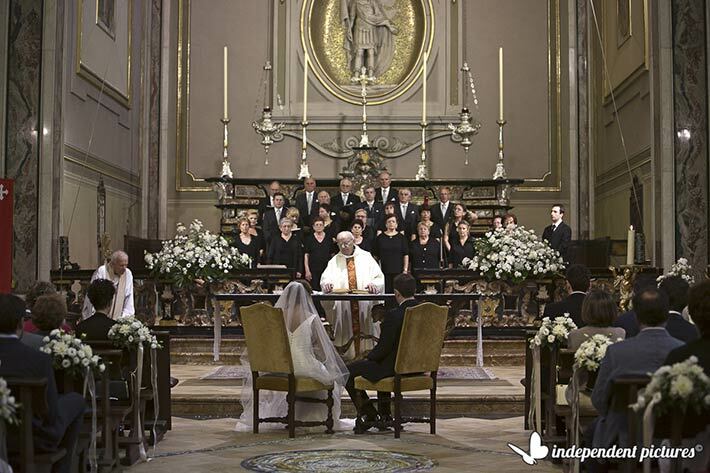 An original choice that could make a catholic ceremony really evocative! 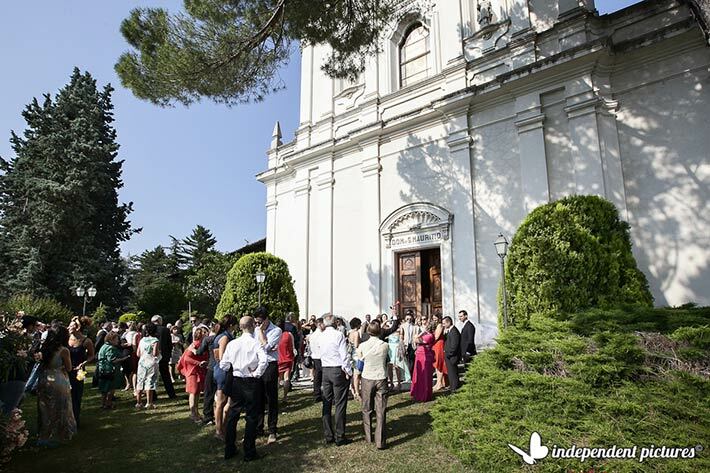 After the service everybody moved to wonderful Abbazia di Santo Spirito in Comignago for wedding celebrations! 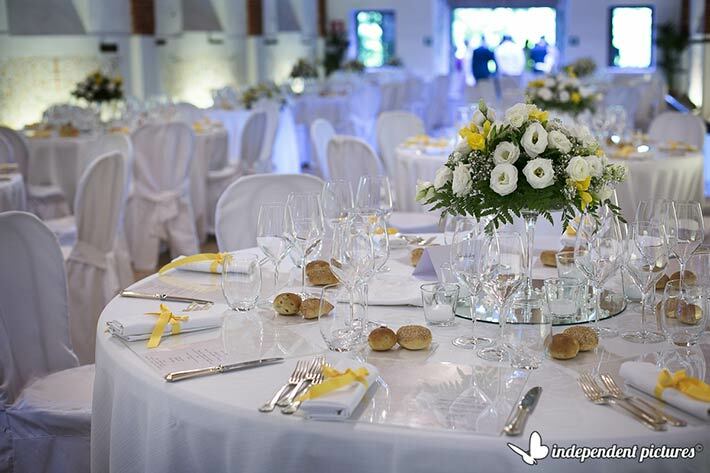 We already talked about this stunning country reception venue in our blogs – on italian country wedding blog and on our italian lakes wedding blog. 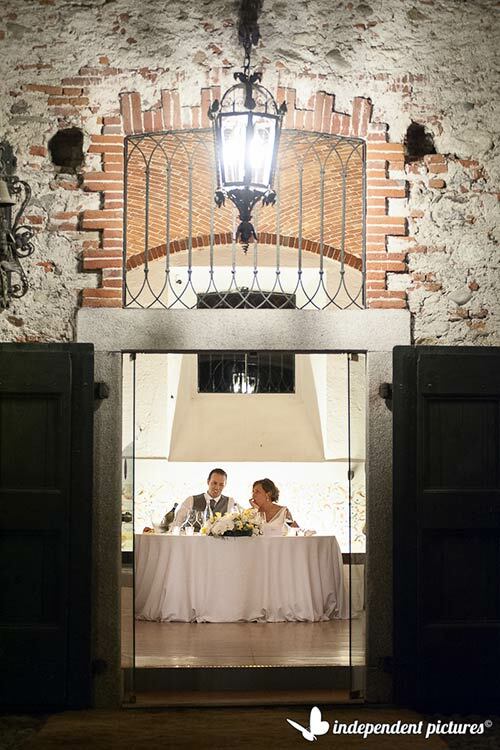 Abbazia di Santo Spirito is strategically located on wonderful hills above Lake Maggiore. It could be a perfect venue if you are looking for a country style wedding but you love waters of the Lakes. Lake Maggiore is just close by! 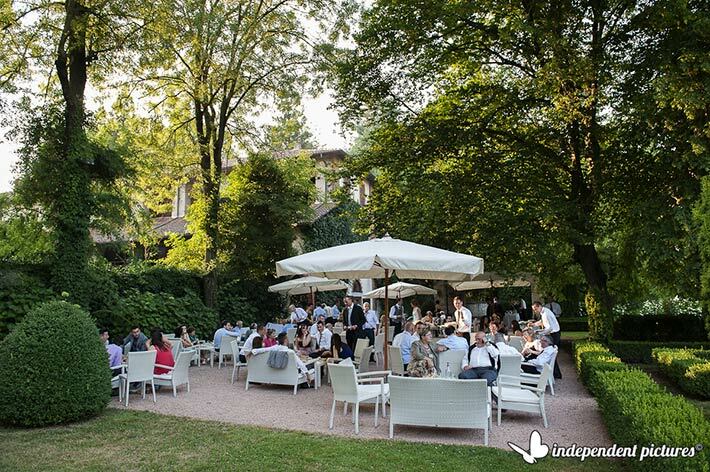 The venue has a wonderful lawn that could be ideal for your welcome aperitifs or even for your outdoor seated receptions or even for wonderful outdoor symbolic blessings. Abbazia di Santo Spirito has also a lovely private chapel available for your religious ceremonies. 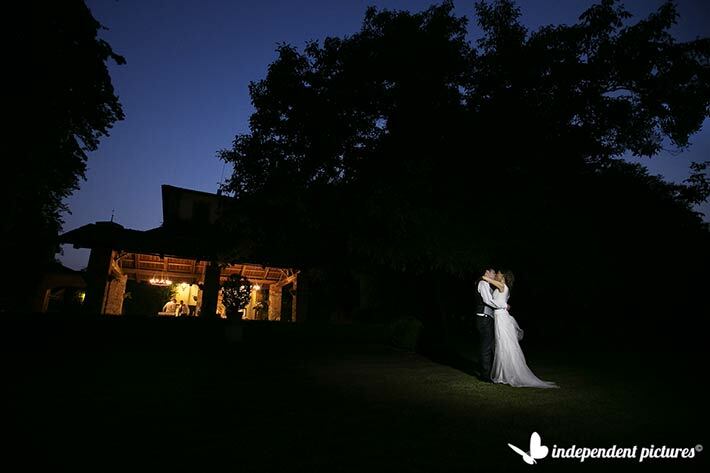 While guests were enjoying their aperitif in the wonderful Italian style garden, Lara and Alberto took the chance to take some wonderful pictures in the park of Abbazia and close to the chapel or ancient porticos. For the reception Lara decided to add a touch of yellow to her floral decorations and stationary. 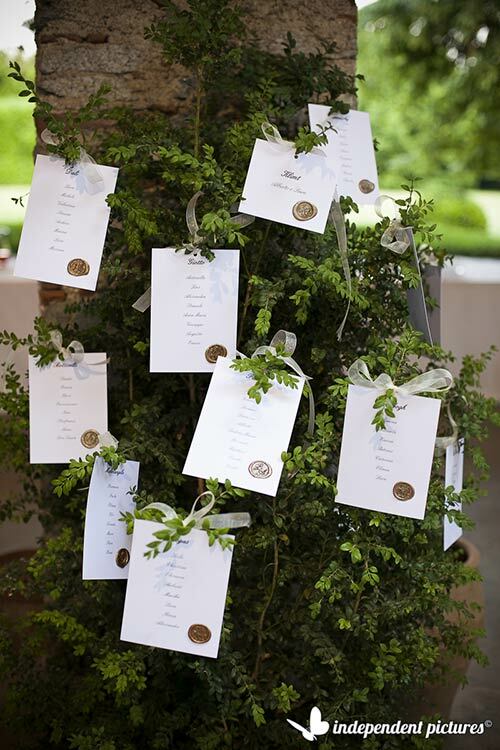 Seating chart was displayed in the garden close to the aperitif area. 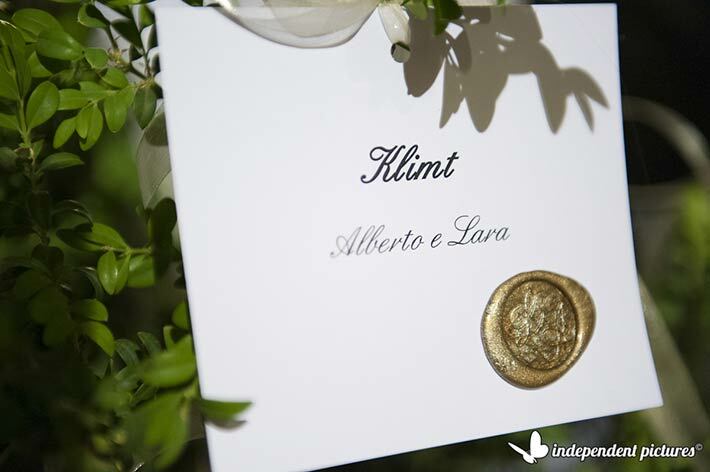 Each table had a famous artist’s name and a golden sealing wax with Lara and Alberto’s initials on it. Very chic! 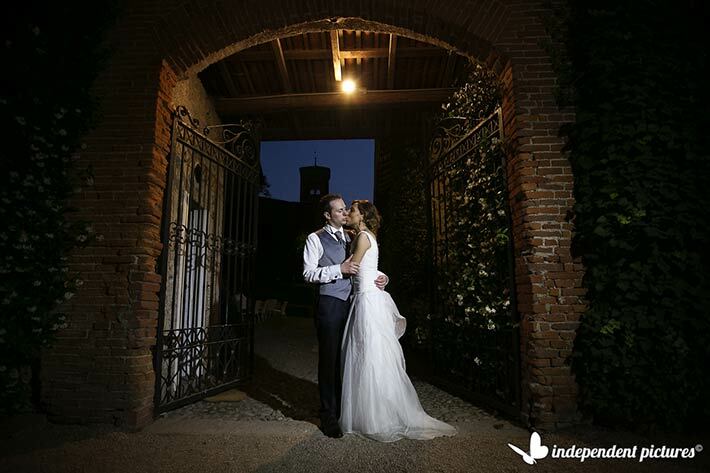 Lara and Alberto’s seated meal was planned inside the ancient big stable of Abbazia. The room is a real country jewel, big windows, coat of arms and bricks. A wonderful rustic atmosphere! 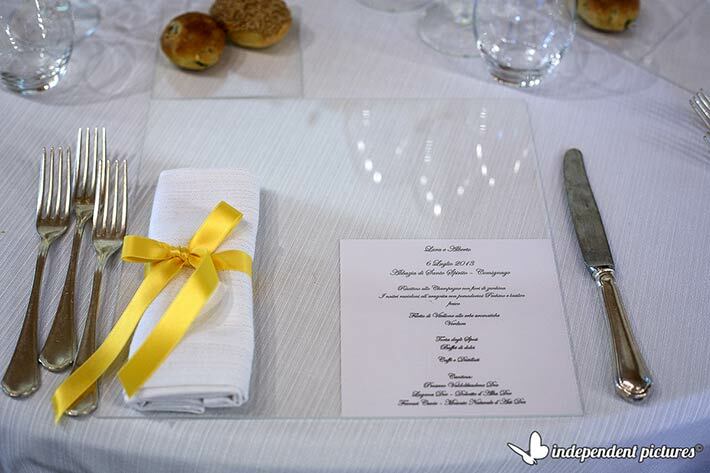 Centrepieces had a touch of yellow too with some yellow Freesias matching the yellow bow on the napkins. After the wonderful meal it is time for wedding favours and wedding cake! 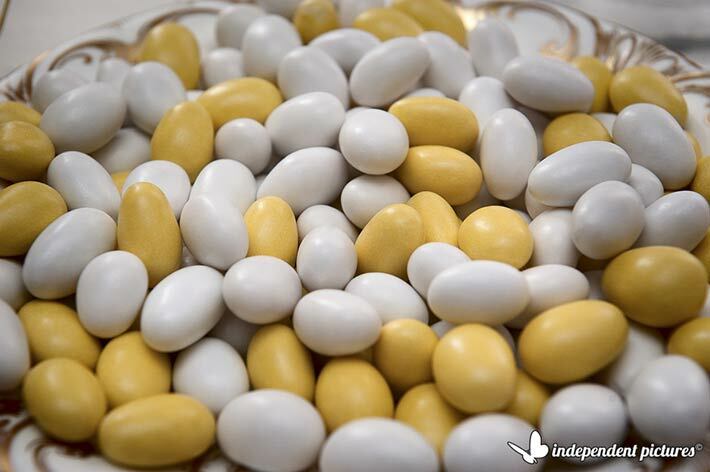 Lara and Alberto offered their guests a delicious tasting of different kind of sugared almonds. Some o them were had a yellow covering to match the theme of the event. Wedding cake was a real masterpiece! 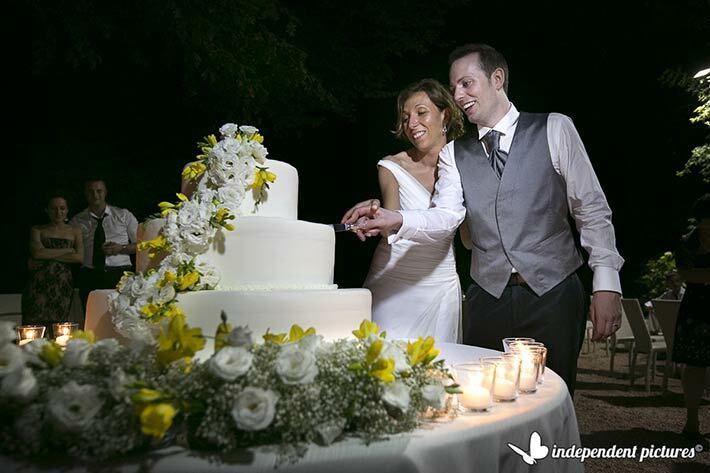 A wonderful white tall tiered cake that Lara and Alberto cut outdoor in Abbazia park. 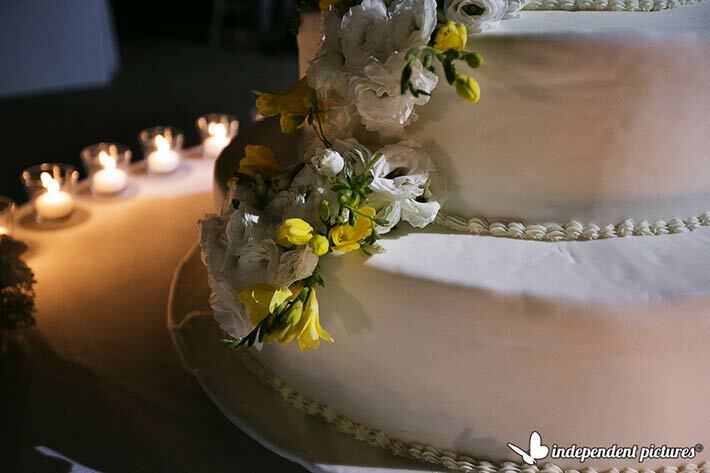 Wedding cake was all decorated with a cascade of white and yellow Lysianthus and baby’s breath. Romantic tea lights did the rest to create a special atmosphere! 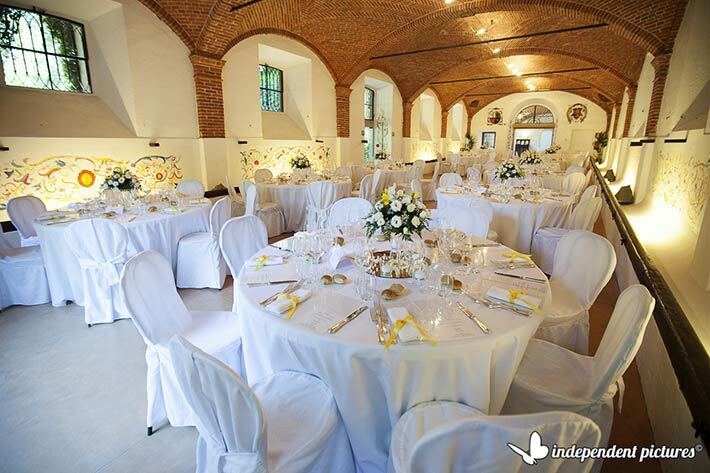 If you are looking for a romantic country venue for your wedding Abbazia di Santo Spirito could be the right place. 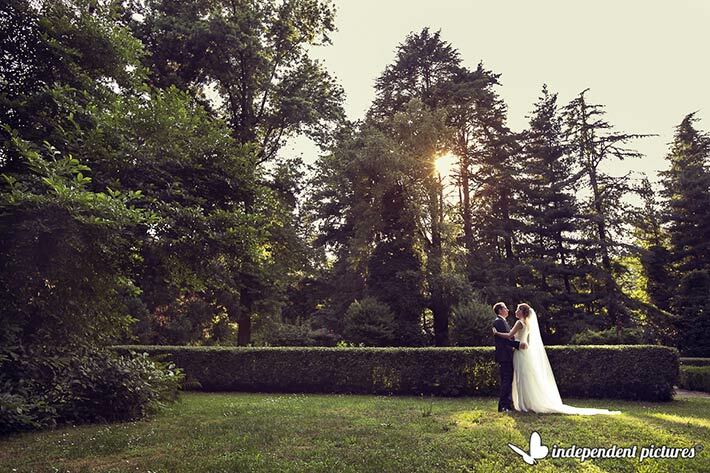 A country private scenery not far from Lake Maggiore, an amazing park and stunning rustic atmosphere for a dreamy wedding. 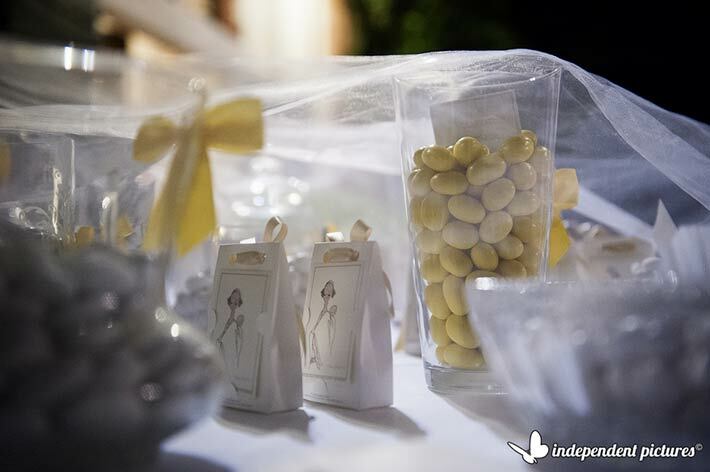 A very special thanks to Independent Pictures Photography for their lovely shots here!